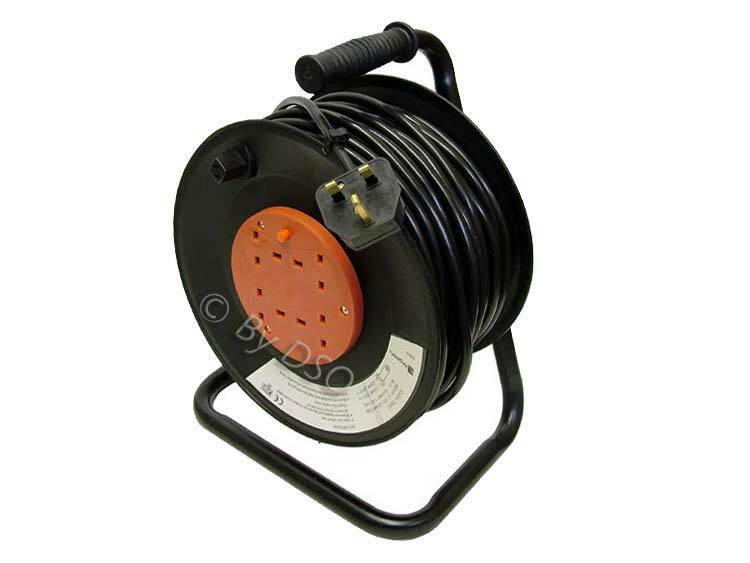 This multi-purpose extension reel has 4 13 Amp Sockets on the reel itself and the extension cable travels for 50m giving you complete freedom with all cabled power tools and electronic equipment. Use equipment up to 1100W with the reel lead wound up and with the reel fully unwound use up to an amazing 3200W. The cable is strong and durable, RoHS and CE compliant and easily transported with its comfortable rubber handle. Use this extension reel around the house, in the back yard, on construction sites and much more.